How often should I repaint the exterior of my home? Location matters when you’re buying a home; you look at the neighborhood, the proximity to good schools and to work, and whether or not it’s close to the things you enjoy doing. Don’t underestimate the importance of curb appeal, whether you’re in the market to sell your house or not. The condition of your yard as well as the condition of the exterior of your home are your home’s first impression to anyone who happens by it; and while you may be all buttoned up when it comes to the state of affairs of your front yard foliage, maintaining the exterior paint on your home may be a different story. Some professionals will tell you you’ll need to repaint the exterior of your home in as little as 4 to 6 years to keep it looking good; others will give you as many as 15 years before the work needs to be done. Painting your home can cost a pretty penny, so just how accurate are those estimates? Low or high, they may all be true. While many homes may not need to be repainted more than once a decade, you’re (probably) not being given bunk advice if yours seems to need it in half that time. So what gives? How often you need to repaint the exterior of your home depends on a few variables: where you live, the type of materials your house is made with, and the quality of the materials you use for the project. Let’s talk about that all-important location first. Depending on where in the world you live, the exterior paint on your home will have different needs. Coastal homes, for instance, endure intense sun, salty sea air and sand, and exposure to those elements means you’ll probably need a lot more exterior upkeep on your home. A home on the beach may need to be repainted as often as every year. But homes in Massachusetts, for instance, don’t have to contend with the environment. New England and mid-Atlantic homes sweat out the humid summers but also endure cold winters, and with that kind of climate a home will probably need repainting about every five to seven years. Materials also matter; we’ll talk about choosing the right paint next. Having the right tools — and quality tools — for the job is important when it comes to painting. Choosing the right paint is critical, and we don’t mean the color (although that, too, plays a factor in maintenance). The sun’s ultraviolet rays cause the chemical compounds in paint to degrade (particularly if you use an oil-based paint), which means it will lose its color and luster quicker than paint that’s usually in the shade. This is especially true if you prefer dark paints, which will appear to lighten more quickly than white or light colors in the sun (light colors will still bleach, it’s just not as noticeable). 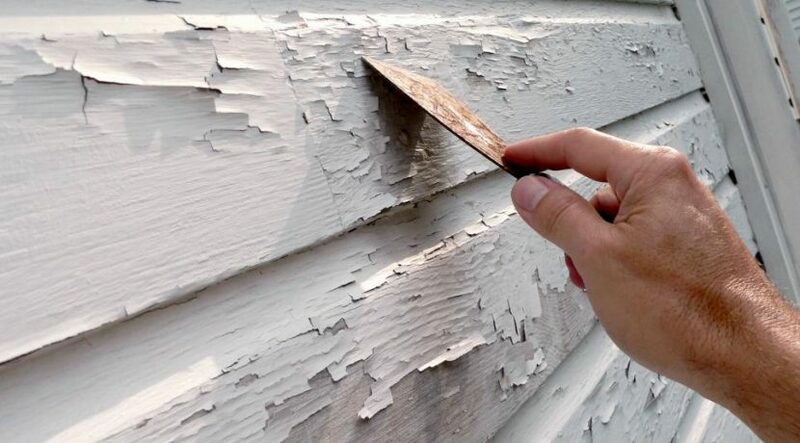 In addition to bleaching, sun damage can also cause blistering (that’s when paint bubbles), as well as a phenomenon called chalking, which is when the surface of the paint becomes powdery and faded (the likely culprit here being alkyd paints). Today, acrylic latex paints are less likely to harden, blister, crack or allow mildew growth over the years, making them a better choice than the previous go-to, oil-based exterior paints. And while glossy and semi-glossy paints may have a durable finish to them, their shiny, reflective qualities tend to put any imperfections, such as small cracks, on display. On the other end of the sheen spectrum you’ll find flat finishes, which are pretty easygoing when it comes to paint maintenance but tend to become chalky and mildew-prone over the years. That leaves us, Goldilocks, with a third option: a satin finish, which works well on a variety of homes and surfaces. Because the quality of the paint you choose will contribute to its durability, it’s important to select high-quality paints and painting materials. Cut costs now and you’ll find yourself redoing the project sooner than you may have expected. Remember: Before you paint, prepare. Starting with a clean, well-sanded surface that’s free of any mildew, cracks, or rot will help ensure exterior paints properly adhere to that surface. And if you think you can get away with just one coat, don’t kid yourself. While a one-coat application may appear tidy to your eye, applying two coats of exterior paint will increase its longevity against its environment. Regular maintenance will also help your home hold onto its paint longer. Inspect the exterior of your home every year, or every few years. 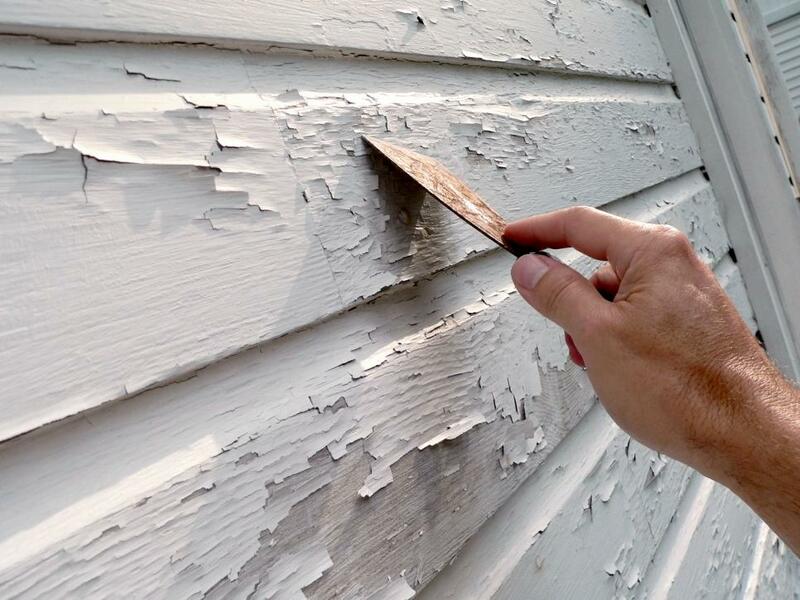 Look for signs of moisture damage, peeling and cracking; addressing any damaged areas, including sealing and caulking, as soon as possible can add years to the life of an exterior paint job. All rights reserved to the initial publisher for How Stuff Works. © 2007 - 2019 Arms & McGregor International Realty® All Rights Reserved.